The Samsung Galaxy S8 is getting on in years, but that doesn't mean you shouldn't protect yours for as long as you can. 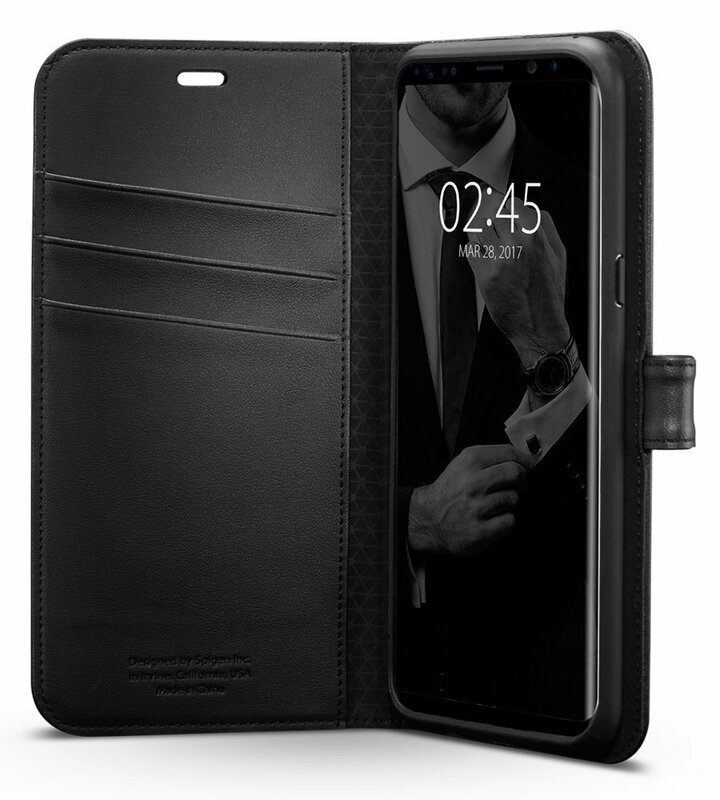 Whether you bought your S8 Day One or just received yours as a hand-me-down or second-hand device, you want this phone to last you as long as it can, so buy it a case that will protect it in style! While most multi-layer cases hide all of your phone's delicate features from view and harm, the Ares lets the beauty of your S8's glass back shine through the clear polycarbonate back, aided and complemented by bold accents like creamy pink or vivid green. If you want a case that will cover your glass against scuffs and scrapes while still not hiding a single inch of its beauty, Spigen's Liquid Crystal is simply the best around. I'm partial to the Liquid Crystal Glitter variant, but the regular clear case is great on its own. OtterBox remains one of the most well-known and well-trusted names in heavy duty cases, and the Commuter Series balances bulk and protection better than the more hulkish Defender Series. Available in four colors, this rugged case is built for real-world conditions. The Spigen Wallet S case is perennially one of the better wallet cases you can get for your phone. 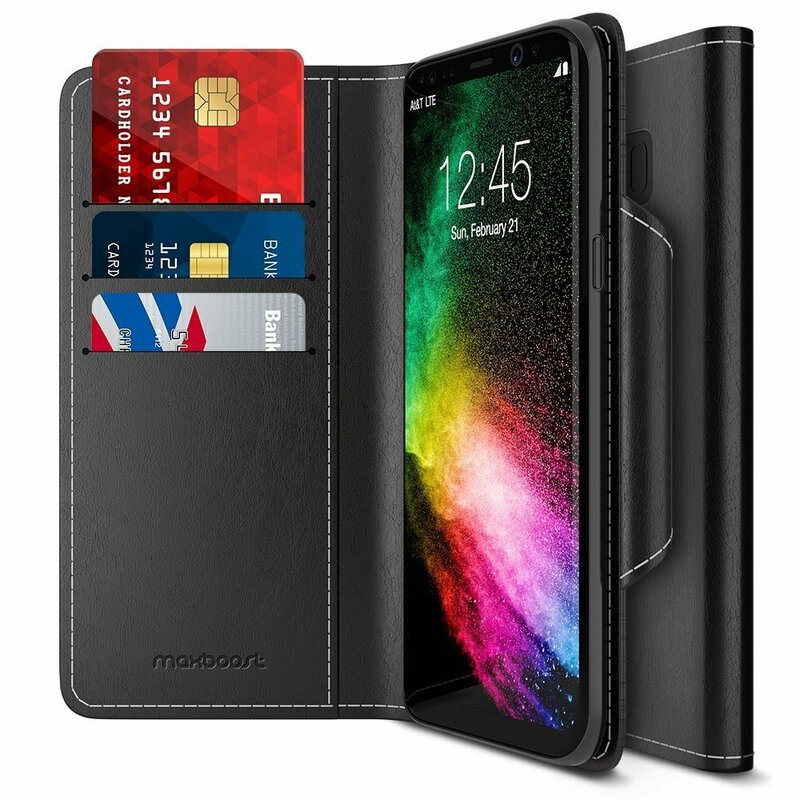 Your phone is held in place by an embedded TPU casing that offers protection around the corners, and the front 3-card-carrying cover doubles as a kickstand. This robust battery case includes a 2,950mAh battery, along with wireless charging, allowing you to take advantage of your existing Qi chargers — look, ma, no wires — and keep topped up without constantly plugging and unplugging. The Neo Hybrid is not just our favorite Spigen case of all time, it's one of our favorite case series period. The dual-layer construction is slim but still protective and for the S8, the color combos available are legion! The Niagra Blue and Arctic Silver are stunning. This hard candyshell case is as darling as it is durable. While Anccer usually has almost a dozen color options for flagship phones, after two years, the stock has been whittled down to four colors: Smooth Red, Smooth Dark, Gravel Black, and Gravel Green. This clear case is a bit more rugged and a lot more bold than the Spigen Liquid Crystal, resulting in a case that is striking in its own right while still putting the S8's delightful design front and center as the star. There are four two-tone colors available, and they're all winners. While there are two solid styles available, the translucent models like the Citron, Ice, and Cobalt are far more beautiful, letting some Samsung branding through while still defending your phone from scuffs, dings, drops, and shatters like only UAG can. This hybrid case combines a vibrant synthetic leather outer cover with a flexible and durable TPU inner shell, gripping your S8 tight and absorbing some of the shock should it take a small tumble from your pocket. Peel is a renowned name in thin cases, and after two years, its case for the Galaxy S8 has aged well, sculpted perfectly to the phone's every edge and expertly color-matched to the black, purple and silvery blue models. Maxboost offers a wallet case that will keep your Galaxy S8 safe and secure while also letting you keep your traditional wallet at home. The wallet is held shut with a magnetic clasp, comes in three colors, and fits three cards and some cash with ease. Which case should you get? On the lighter side of the spectrum, Anccer Ultra Thin have been our go-to thin cases for the last couple of years because they're affordable and vibrant. Speaking of vibrant, if you want to show off the S8's glass back while still keeping it super-duper secure, the Supcase Unicorn Beetle Style has a crystal clear back paired with two-tone hybrid bumpers to offer you the best of all worlds, and the blue and purple models are taunting me with their loveliness.